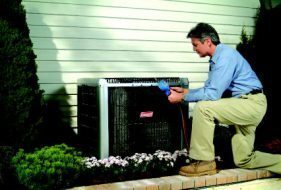 In our first back to school article, we discussed how you can “tune-up” your system for energy savings and better performance before fall comes around. But what if your system is older? Is it inherently inefficient? Do new heating systems really make a difference in energy use? In HVAC 102, Fox’s HVAC team explores a few basics of today’s heating products. The most important indicator of energy efficiency can be found in a number on the front or side of your heating equipment. For gas furnaces, the number is AFUE, (annual fuel utilization efficiency) and the range is from 80-98%. What does this mean? This is the measure of how well fuel is utilized by your system. An 80 on your furnace means that you have approximately 80 percent is producing heat and 20 percent is discarded as waste. If you have a 95 or 97.5 or 98 on your furnace, only 5 percent or less of the natural gas is wasted. That 15 percent difference directly translates to using 15 percent less gas and lower bills. Surprisingly, today’s new construction homes are still designed with builder-grade 80 percent furnaces. It’s up to homeowners to upgrade for greater energy efficiency. If you're not professionally maintaining your furnace, then worn and clogged parts will degrade your home's energy efficiency. An older, poorly maintained furnace can have way below 80 percent efficiency. Ductless heat pumps and air source heat pumps are today’s high tech equipment. They are highly efficient. They can save you up to 25%-50% vs your older electric heating equipment or base board heating. 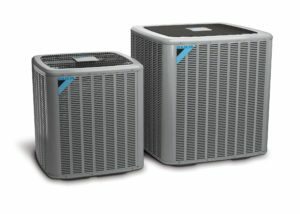 Heat pump technology, which sources heat from the outside air, works so well that all of our local electric utilities, including PSE and Seattle City Light, provide cash rebates for the installation of these products. Fox’s HVAC Specialists are certified with both of these utilities and the NW Ductless Project so that our customers can qualify for these rebates. The cost of a new electric heat pump or natural gas furnace system is substantial but can pay back when switching from the much higher cost of oil or propane fuel for heating. This excellent comparison chart from Seattle City Light shows different types of fuel and electric heating and what you might expect to pay for an average winter here. While your bills may be different, the comparison ratios will still hold true. This shows that oil is 2-3 times more expensive than either natural gas or electric heat pump heating. They did not include propane in the chart, but a similar chart from Snohomish PUD (more propane is used in Snohomish County), shows that propane is the most expensive heating option, more expensive than oil. To learn more about upgrading your heating system to the latest energy efficient equipment, contact Fox. 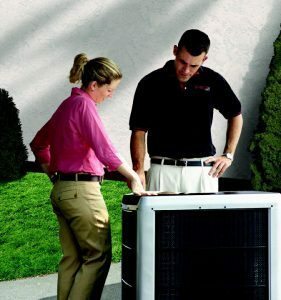 Our HVAC Specialists will be happy to share options with you that fit your needs and budget.